This week’s App of the Week post highlights a few options for using the Pomodoro Method, discussed in last week’s research post. 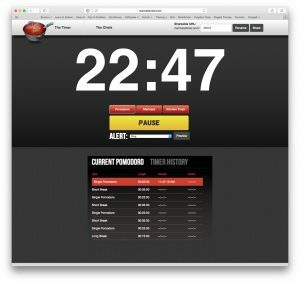 Using the Pomodoro Method can vary from just a simple timer to using a full scheduling app. These apps are meant to show you some options so you can choose which would be most helpful for you. 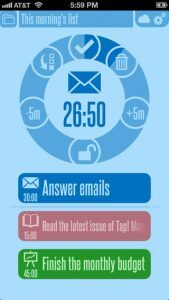 This app is a perennial favorite for time management, but it is also helpful for the Pomodoro Method. With 30/30, you can set up a list of tasks and times. This is a good way to divide up study time between different topics and to include study breaks. You then start the timer, which will display on your iPhone or iPad, and you will be reminded when to move on. You can save lists or create new ones when needed. This is simply a webpage you can open in your browser to remind you to take breaks. This app is perfect for people with good self control that just need a bit of a reminder. 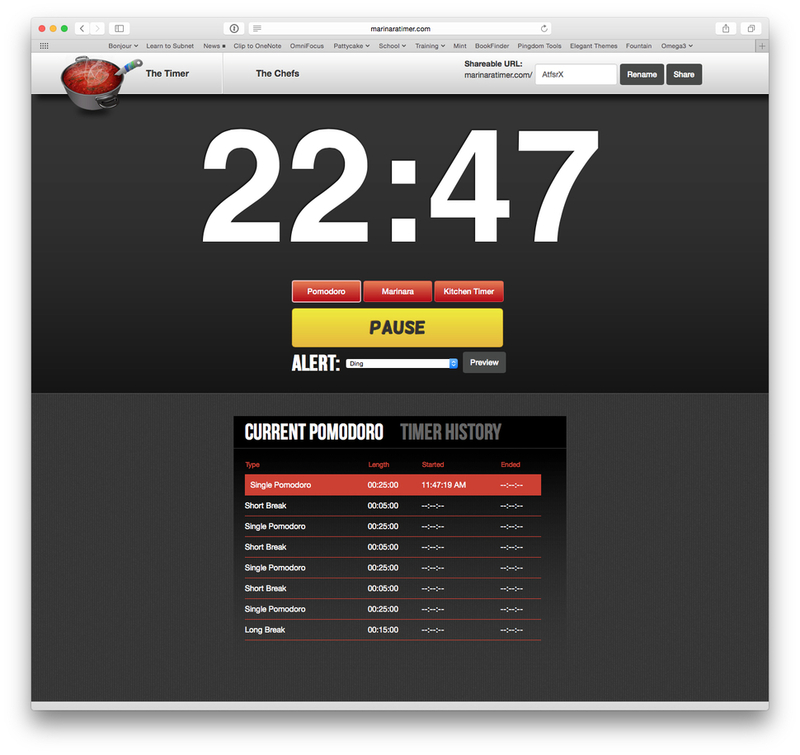 It also allows you to create custom timers or use the typical 25/5 breakdown. It will give a small reminder (beep or short song) each time you’re supposed to switch between work and break. I found this app really helpful for using the Pomodoro method, the only problem was that I couldn’t hear the reminder when I had music playing. Tomighty is a similar program for desktops. Simple Pomodoro is a similar app for Android. This entry was posted in Tech Blog and tagged Android, App of the Week, Assistive Technology, Computer, CSDTech, iOS, Mac, Mobile Devices, Productivity, Time Management, Windows, Windows Mobile.